Trigger Warning: This episode contains graphic descriptions of various types of abortions. Therefore, this content might be disturbing and traumatizing and not suitable for some listeners. During the fall of 2018, a public and brutal Supreme Court nomination battle saw Judge Brett Kavanaugh assume the seat left vacant by Justice Anthony Kennedy, the highest courts perennial swing vote, establishing an assumed conservative majority. Those who defend abortion as a fundamental right fear that the ... See More permissive legal environment created through Roe v Wade hangs in the balance. States are declaring sides in the abortion battle with New York, Virginia, Illinois, and others shoring up permissive abortion laws similar to the national Roe environment while Georgia, Mississippi, Kentucky and others seek to restrict the practice of abortion. Actress Alyssa Milano recently headed a list of celebrities threatening to boycott the state of Georgias film industry in response to their Fetal Heartbeat Bill as heated Twitter wars erupted daily. The film Unplanned was released in March 2019 in the midst of all of this division surrounding abortion with accompanying high expectations about how it could impact this landscape. The film tells the real life story of Abby Johnson the former Bryan, Texas Planned Parenthood clinic director as she goes from college student and Planned Parenthood volunteer to clinic director and finally to prolife advocate. 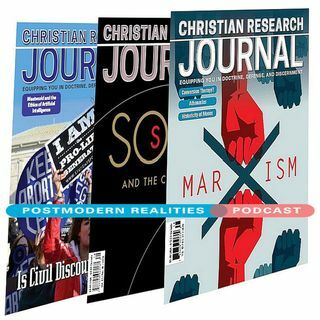 This Postmodern Realities episode is a conversation with JOURNAL author Jay Watts about his online exclusive CHRISTIAN RESEARCH JOURNAL film review Unplanned: An Imperfect but Brave film.